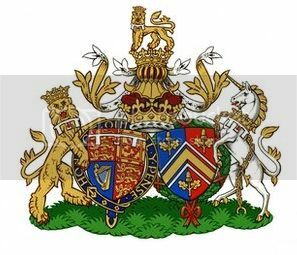 Please note that all posts relating to the Current Events of the Duke and Duchess of Cambridge should be posted in the appropriate thread. I wish I could apply! I have a lot of clerical experience, I can do laundry, and I have nursing training, which would come in handy if anyone ever passed out! Le siiiigh. WILLIAM and Kate have advertised for a “super servant” to help them in their new life as parents. The use of the word "skivvy" in the headline is a disgrace. Camilla Tominey is moving into KAtie Nicholls territory. Well over here (Canada) skivvies is slang for underwear. So the headline reads as if William and Kate were getting some sort of super underwear. Prince Harry has brought in a private secretary to help him manage his affairs. Clarence House have announced the appointment of Mr Edward Lane Fox, a former officer in the Blues and Royals who will assist the Prince as a trusted advisor. Harry himself will have chosen Mr Lane Fox as his right hand man. Both have proudly served for the Blues and Royals, and as a military man, Edward will understand perfectly Harry's commitment to his career in the army. Harry is the last of the royal trio to appoint a private secretary. Last year it was announced that there had been a reshuffle, with both Prince William and his wife Kate Middleton employing private secretaries of their own. The Duke of Cambridge is now assisted by Miguel Head, a former press secretary to William,Harry and Kate, who joined the Princes' private office in 2009. The Duchess of Cambridge meanwhile is supported by Rebecca Deacon, her former trusted personal assistant. That move was described as an "evolutionary step" in the development of the royal household. Overseeing everything behind the scenes is Mr Jamie Lowther-Pinkerton, principle private secretary and equerry to the young royals. He has been with the Princes since 2005, and is credited with masterminding their rise from shy young men into respected public figures. The former SAS officer is so close to the Wales men, that his son William was a page boy at the royal wedding. The trio also have the wisdom and experience of Sir David Manning to lean on. A former British ambassador to the US, he became an advisor to William and Harry at the request of the Queen then they formed their private office in 2009, and was the man the family turned to before the royal wedding to give Kate 'advice and mentoring' on her new role. Lowther-Pinkerton, principal private secretary to William, Kate and Harry, has worked for them for eight years. Nice to know that he will still be around though. William & Catherine and Harry have been working with Jamie for some time and I'm sure they will miss him as a full-time senior member of their staff. The number of courtiers at St James’s Palace is about to be reduced after Jamie Lowther-Pinkerton, the ex-SAS officer who has been a steady presence at William and Harry’s side for the past eight years, told them he has decided to step down. Mr Lowther-Pinkerton, principal private secretary to William, Kate and Harry, will be missed by the Duke and Duchess, to whom he is such a close friend that his son William was a pageboy at their wedding. But remarkably, only one member of the Royal Household works solely for her. Rebecca Deacon, her private secretary, is always by her side when she is out in public. The truth is that, in common with every other family in the country, the most important members of the Duchess’s “team” are not paid at all. Her family are her greatest source of strength and advice; it just happens that in her case, “family” happens to include such wise counsel as the Queen. Jamie Lowther-Pinkerton, the royal couple’s principal private secretary, intends to leave his post in September. Mr Lowther-Pinkerton, 52, a former SAS major, is the most senior of their 12 full-time staff and has helped plan everything from the royal wedding to their overseas tours. He is also principal private secretary to Prince Harry. Mr Lowther-Pinkerton was one of three royal aides whose mobile phones were hacked by the News of the World in 2005, triggering the hacking scandal that is yet to run its course. He plans to take up consultancy roles in the private sector, but intends to spend one day a week at St James’s Palace to advise the younger members of staff who will take his place. His role will be divided between three individual private secretaries: Miguel Head, 35, for the Duke, Rebecca Deacon, 30, for the Duchess, and Edward Lane Fox, 36, for Prince Harry. A royal source said Mr Lowther-Pinkerton’s departure had been “on the cards for months. It’s a big shift for the Household and is the last part of the restructuring of staff.” Eton-educated Mr Lowther-Pinkerton, who served as equerry to Queen Elizabeth the Queen Mother from 1984-86, was made a Lieutenant of the Royal Victorian Order in the 2013 New Year Honours and lives in Suffolk with his wife and four children. William and Catherine have appointed their housekeeper. I was reading the article about the duties of the housekeeper...surely she will have staff to assist? I would say so. But first of all she needs to understand about the property and how the Cambridge's want to utilise the space. It might be that they want to have reception rooms put aside for royal engagements or perhaps they don't want to do that at all. She will work with Catherine on that and then she will appoint staff to work with her, probably p/t to start with. And it's good that the new housekeeper comes from the BP staff. I recall to have read somewhere (maybe in one of the Burrell-books) of how staff would be lent to other Royal households for special events, so the new housekeeper surely can cope with that. Okay, she has to adapt her life to the needs of her employers: cook in the evenings when they are at home but having the evenings off when they are going out. Cleaning the kitchen and bedrooms when W&C are not at home. Or supervising the cleaner once a week. Just like the way Paul Burrelll cared for Diana - he had additional help as well when needed. Plus she can help Catherine during the time between birth and move to KP Nr.1, so they don't need a nanny while they don't have a nursery. Doesn't Catherine enjoy speaking Italian? I think I recall she spent her gap year in Italy, surely has fond memories of her time there. Public appearances are bloody hard work are they? Who knew. Do you do many? I would imagine quite a bit of preparation behind the scenes goes into the event by the royals. I doubt they just show up on the fly. Of course they don't show up on the fly, they have to be invited. Preparation is done by everyone else, unless a speech is required and if that's not edited accordingly I'd be surprised. Royals show up, shake hands, walk around, pose for pictures and leave. Have I missed anything? I think it might have been meant in an ironic way-like saying "I buy myself an Aston Martin because I am such a poor soul and I don´t have anything else in life that makes me happy". It is very tricky and difficult to transform irony/sarcasm into a written text, often it seems very rude or unfriendly and the reader does not know that it was only intended as a silly joke!